recommended for: Fans of Alice in Wonderland (duh), Cruel Beauty by Rosamund Hodge, Something Strange and Deadly by Susan Dennard, and other lush, strange young adult fantasies. I put this one off, because I wasn't ready to let my netherling darlings go, but at some point I just couldn't wait anymore. It was a sad but satisfying goodbye. At the end of Unhinged, we left Alyssa and her dual worlds in shambles. Friends were missing. Mothers were trapped. The lines between Earth, Wonderland, and the mirror world were fracturing. Ensnared begins at that very moment of ending and races breakneck and frantic to a stunning conclusion. I'm glad that I re-read Splintered and Unhinged beforehand, because I enjoyed the third installment that much more. Not that Ensnared was complicated; it just brought together so many threads, alluded to so many teasing foreshadowings, that having those past events in mind made the twists and revelations just a little extra spectacular. Without giving too much away, I can tell you that Ensnared doubles down on the darkness and violent delights of the first two. Wonderland is in shambles and Alyssa is plunged into the depravity, corruption, and lunacy that is the mirror world. Howard leads her heroine through disturbed and vividly portrayed nightmarescapes that tantalize the imagination. There are betrayals, lost boys, battles against friends and self and one's most dangerous desires. Paintings come to life and old fairytale friends are monstrously reborn. For Alyssa, victory means choosing between the wildness of her netherling heart and the quiet strength of her aboveworld self. Her family and her destiny. 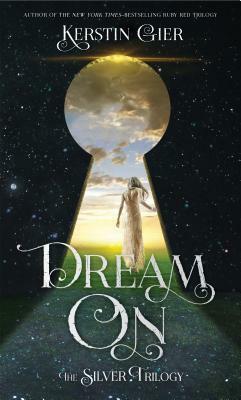 The fantastical scenery, twisted logic, and harrowing plot would be enough, but the characters bring it to life. Alyssa is the same spunky, reckless badass as before, but she's developed a mature sense of sacrifice, a thoughtfulness that comes with holding a world in your hands. She is madness tempered by reason, impulsivity colored with compassion. And Jeb and Morpheus are the living forms of her extremes, but they're also their own people, entwined with Alyssa but not wholly beholden to her. Jeb's softness has become hard, embittered by betrayal. He must learn to accept and channel his darkness before it consumes them all. Morpheus is sly and manipulative as ever, but his love for Alyssa and for Wonderland forces him into a nobler role than he'd care to admit. We also fully meet Alyssa's parents and delve into the head of the Red Queen, whose evil hides a rich soul with shadowed corners. All this magic and wonder is wrapped up in Howard's succinctly beautiful writing. It's heavily teenage flavored, more authentic in that way than most of the contemporaries I've read. Alyssa is 100% believable as a high schooler who skateboards and skips school. But it's also gilded with a subtle, mad beauty, a fairy tale sheen that fills the reader with the bubbly hilarity of something other and wondrous. And the end. A little abrupt, perhaps, but Howard managed to blow me away--straight into book hangover land. Seriously. Most underrated series of the last decade. It's a series I know I'll re-read...again. Already my heart aches for Howard's nightmarish, Dali-esque Wonderland. I don't know what I'll do after Untamed. Probably make myself a set of corpse-blue wings and fly, fly away to wherever Morpheus is hiding. Beyond the mirror. 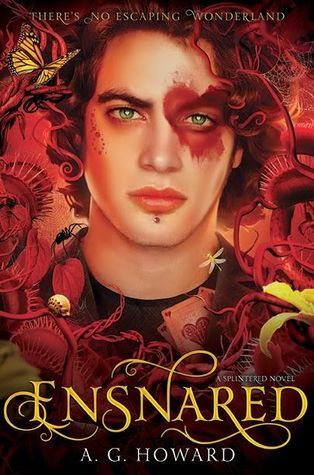 Ensnared is a thrilling, satisfying conclusion to one of the most viciously beautiful Wonderland reimaginings ever written, a true gem of young adult fantasy. will i read this author again? Give me Untamed and RoseBlood! will i continue the series? I'll read Untamed when I can't wait anymore. And then I'll be despondent again. Note: I received an advanced copy of this book in exchange for an honest review. The price of the book and its origin in no way affected my stated opinions.